Dickens employed Pailthorpe occasionally when he needed extra illustrations for his books. 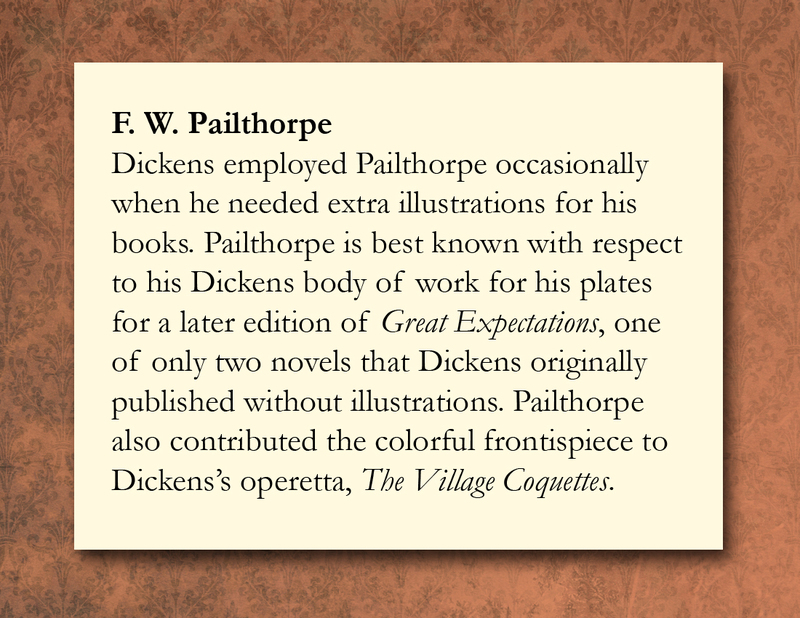 Pailthorpe is best known with respect to his Dickens body of work for his plates for a later edition of Great Expectations, one of only two novels that Dickens originally published without illustrations. 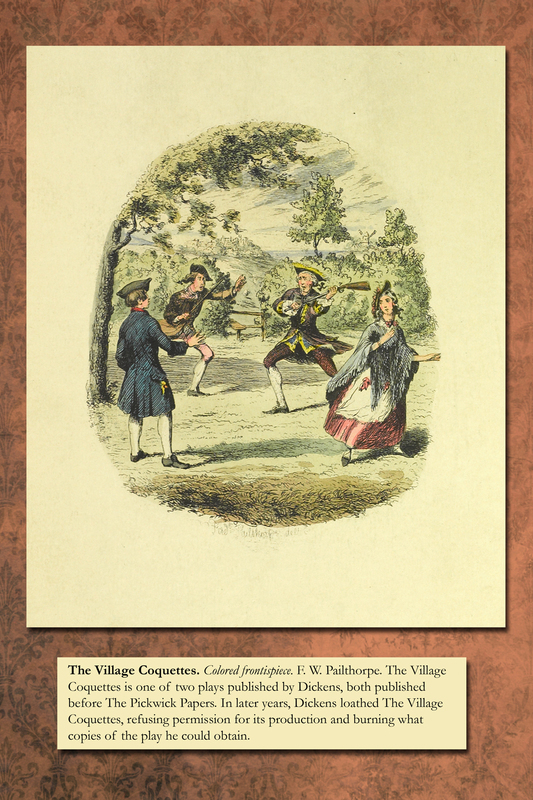 Pailthorpe also contributed the colorful frontispiece to Dickens’s operetta, The Village Coquettes. The Village Coquettes. Colored frontispiece. F. W. Pailthorpe. The Village Coquettes is one of two plays published by Dickens, both published before The Pickwick Papers. In later years, Dickens loathed The Village Coquettes, refusing permission for its production and burning what copies of the play he could obtain.